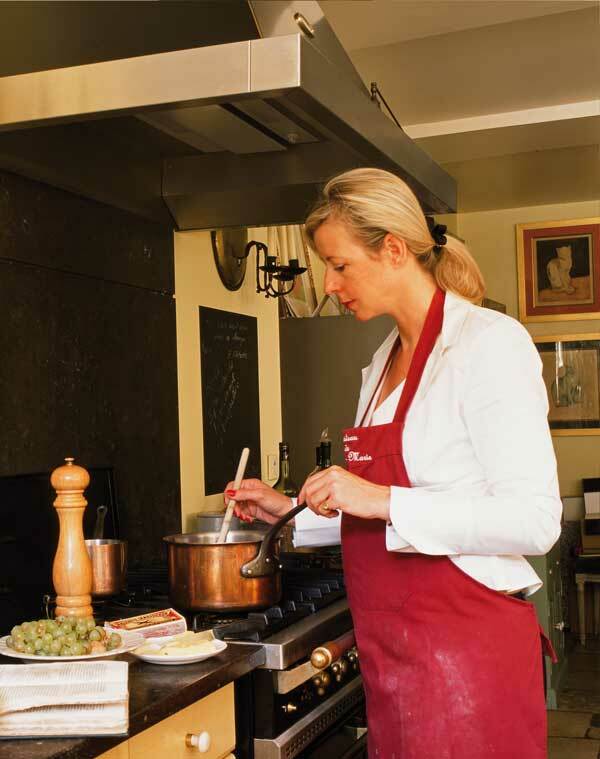 In my Normandy kitchen, on the big French stove, my favorite pots do the work for me! Just the odd stir and “et voila!”. And, yes that is just my apron billowing, not my tummy, thank you very much!